Discounting a price to close a sale is the direct result of the salesperson failing to create enough value for the customer to accept the full price. The size of the discount grows even more when the salesperson fails to believe in themselves and how they can help the customer. The result is lost value for the customer and lost profit for you. 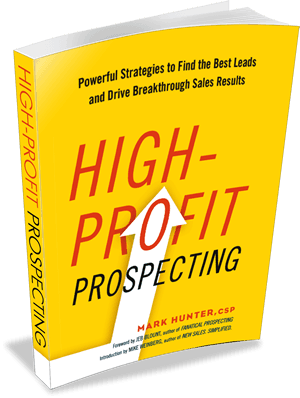 Mark Hunter, CSP, “The Sales Hunter,” is the foremost thought leader in helping organizations eradicate poor pricing behavior and drive top line and bottom line profits. The program is extremely hands-on with participants focused on building their own plan.